At night, Hollywood Boulevard is a catwalk lined with velvet ropes, stylish socialites and paparazzi. 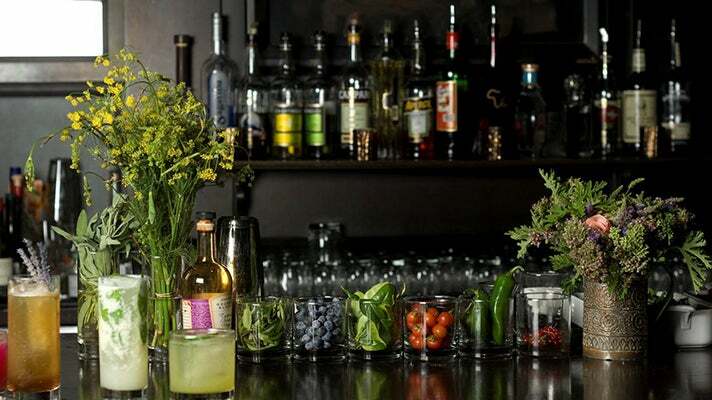 Hollywood's vibrant nightlife features some of the coolest bars and hottest lounges in LA. Read on and find out more about some of Hollywood's top nightspots, all located a short distance from each other, for the ultimate Tinseltown bar crawl. 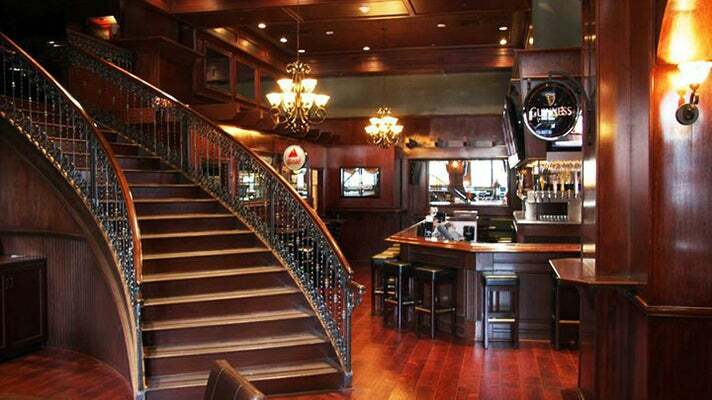 Located at the world famous corner of Hollywood and Vine, Dillon’s Irish Pub boasts the one of the widest variety of draft beers in town and offers a large menu of quality comfort food in a friendly atmosphere. Enjoy the game with a burger and a beer at Hollywood’s neighborhood bar. 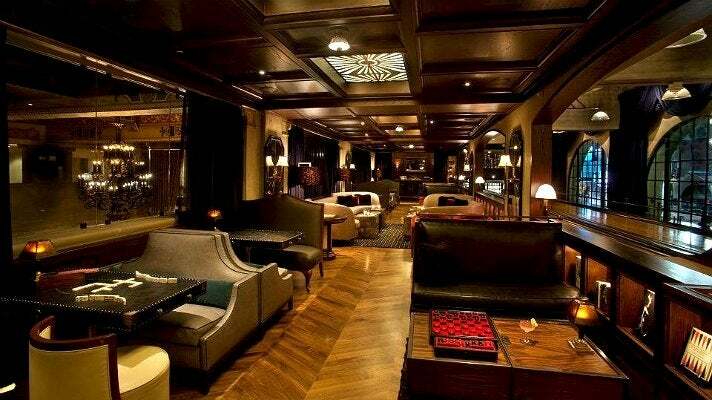 Hemingway’s Lounge is one of the most stylish lounges on Hollywood Boulevard. With Papa-inspired chic décor, books floor to ceiling, and soft sofas, the lounge provides the perfect atmosphere to sip cocktails named for literary classics, and dance while the DJ plays an eclectic mix of rock favorites. Call ahead for special live music lineups and table reservations. 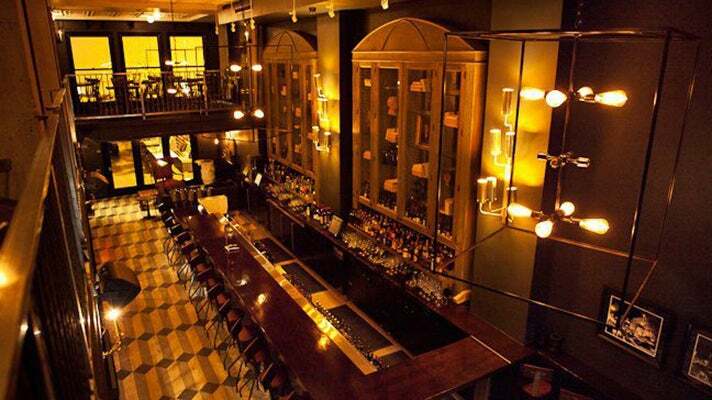 The historic Hollywood Roosevelt is a world in itself of bars and lounges. For chic, star-studded nightlife head to the Roosevelt’s poolside bar, Tropicana. Retro meets modern beside the David Hockney-painted pool, and the surrounding patio bar is a modern oasis with lush palm trees. The lobby level features the farm-to-glass mixology of the Library Bar and the celebrity hideaway Teddy's, while the mezzanine has The Spare Room, a modern-day gaming parlour and cocktail lounge with its own vintage bowling alley. The exclusve, members-only Beacher’s Madhouse is located in the basement, featuring more than a dozen variety acts that push the boundaries of sexuality, entertainment, fantasy and innocence. The space that formerly housed the infamous Les Deux nightclub has been transformed into Sadie Kitchen & Lounge, a multi-room urban retreat that mixes Old Hollywood glamor and modern aesthetics. 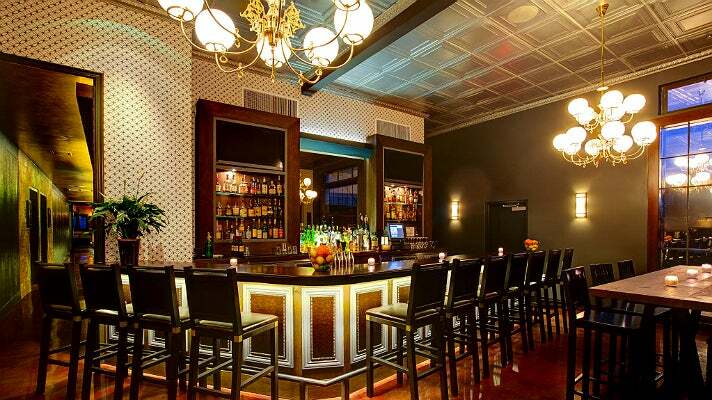 Enjoy a craft cocktail in The Parlour or the Central Bar, located inside a restored Craftsman bungalow. Or dine on New American cuisine under the stars on the expansive patio, one of the prettiest in all of LA. Jason Scoppa, the nightlife director behind the wildly popular Bardot Sessions, created The Sayers Club to offer devoted music fans a unique nightlife experience. Once inside the dimly lit space, guests are treated to soft leather banquettes closely surrounding the venue’s stage. Nights begin with music by top DJs; then the amazing house band or a guest musician will take the stage for a special performance. Table reservations are strongly suggested. Wood & Vine is a sophisticated bar and restaurant in Hollywood featuring a selection of classic cocktails and seasonal small plates. 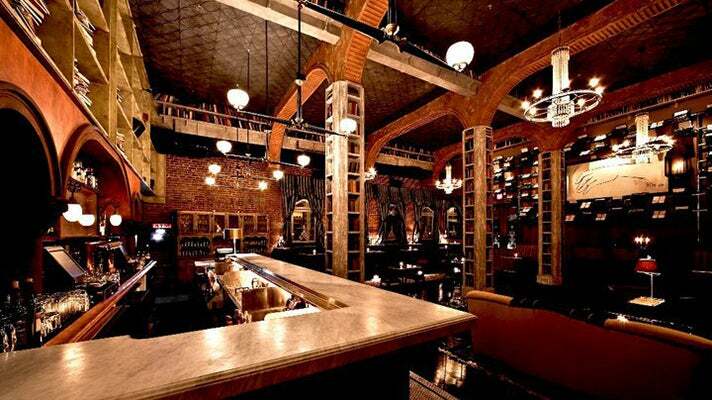 It's the perfect place to grab drinks after work or start a night of party-hopping in Hollywood. Located in the historic Taft Building, home of Charlie Chaplin’s first office, sit by an elegant fire outside on the patio or find an intimate area inside to gather with friends.